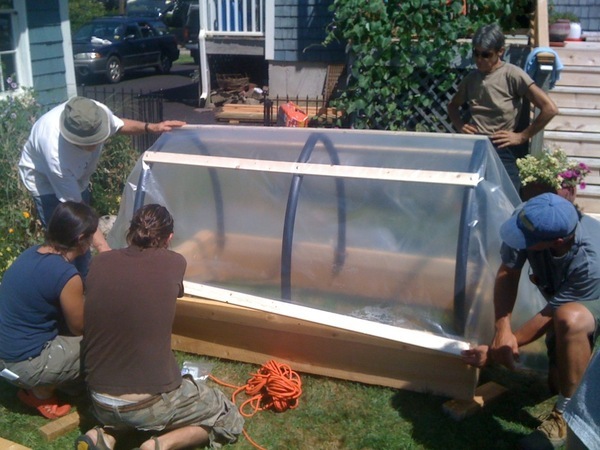 The Portland Maine Permaculture meetup group was launched in 2005 by Lisa Fernandes after she returned from the “Fuelling the Future” conference in Kinsale, Ireland. That experience caused Lisa to reach back to her permaculture roots and start creating real, live alternatives to the “fear-based responses” that some people were having to the peak oil and climate change discussion. The Resilience Hub emerged as the “organization” to hold that permaculture activity as well as carry out more advanced projects. But we still use the meetup site as our organizing tool for all our permaculture related activities. The Portland Maine Permaculture group is free to join and open to all!